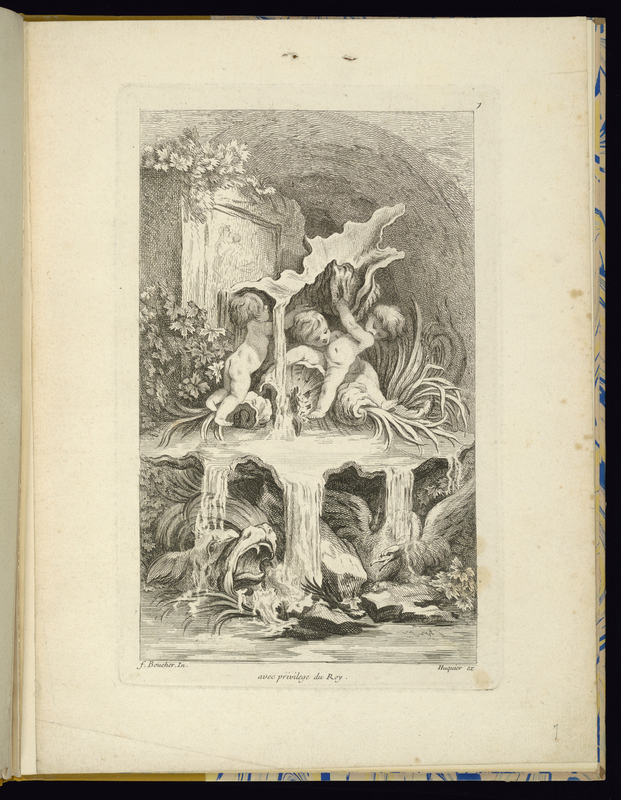 This and 6 other objects are a part of a set whose first object is Album, Recueil de Fontaines (Collection of Fountains), 1736. This is a Bound print. It was designed by François Boucher. It is dated 1736 and we acquired it in 1920. Its medium is engraving on paper. It is a part of the Drawings, Prints, and Graphic Design department.